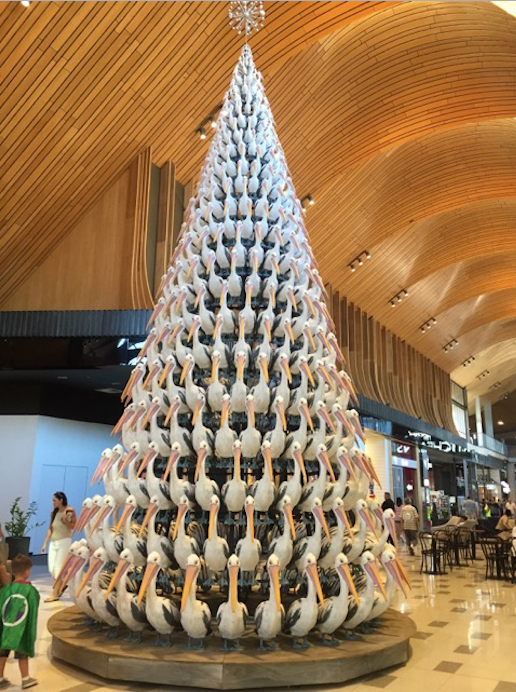 I was checking out the new extensions to Robina Shopping centre recently and was shocked to see all the pelicans stacked as a Christmas Tree which I thought was awesome and very clever depicting "THE TRUE GOLD COAST"
Your comments, thoughts and contributions of constructive ideas throughout the year have been very important to us to constantly improve our standard of excellence, we are honoured that that you are part of our ever growing team of over 10,000 members. Wishing you, your family and friends a wonderful Christmas, with love, laughter, and a prosperous year ahead for 2017. A surge in residential investors has kept expectations high! We are getting closer now as we all start to press the panic button on what you are getting me for Christmas this year, I know I am on top of your Christmas list as time is running out with only 20 days to go ... GULP!!!! In New South Wales investor numbers increased 1.6% during August to a total of $5.8 billion in sales, while Victoria increased by 5% in August to $3.24billion continueing the steady increase in property values. 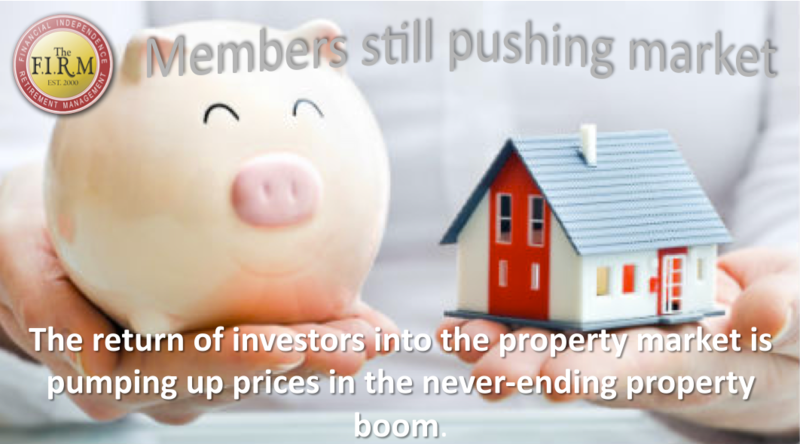 Investors including our members are accounting for 47.6% of residential lending in Victoria in August alone. Sydney clearance rates are back to above 80% higher than last weekends 78.8% - making knowing your borrowing power and extra costs you could incur chasing a property - such as stamp Duty even more important. High prices plus less stock have more and more pressure to home buyers - 673 homes were on offer Sydney down from 870 in the corresponding weekend in 2015. Melbourne vendors saw the best October sales figures on record. There were 989 Auctions in Melbourne with a 79% clearing rate. ACT remains strong with 84% clearance rate with Queensland and South Australia with a slow 47% which actually tells us something very serious is about to happen. If you require more information on the Queensland Market please do not hesitate to call me. We are just about to wrap up for the festive season with a few more newsletters for the year and then the countdown for the New Year of 2017. 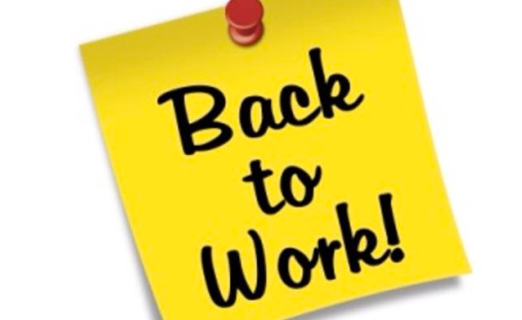 Until next time, stay SAFE, HEALTHY, WEALTHY and WISE! I know I am on top of your list as time is running out with only 41 days to go GULP!!!! Well the USA elections are all done and dusted now and I was forwarded this article from Yellow Brick Road, Wealth Management which I wish to share with you. With the power of news cycles these days, deeply integrated financial markets often act irrationally, influenced by panic. It is important for investors and our members to remember the fundamentals of their investment portfolios: remain clear on your long term goals, do not react emotionally and seek professional input from your financial advisor. Share markets literally move up and down in response to macroeconomic events momentarily day in, day out. Last week's Trump victory has certainly shocked global markets and caught many investors unaware. Financial markets did not want to see a Trump presidency; his win was considered less probable than a Clinton victory and as a result markets only partially priced this in earlier today. Therefore, we expect a pronounced negative impact, which we observed throughout the day as the results streamed in, with adjustments and revaluations across all market segments. However, this isn't the first bout of volatility our markets have experienced: periodic sharp falls are regular occurrences in share markets throughout history. So too, data and history show us that ultimately shares rebound from these short term shocks with stable returns when the dust settles and normality prevails in asset markets. Talk to an expert Enquire now Even in the lead up to Election Day and Night, markets had been somewhat jittery at a potential Trump victory. The ASX200 dropped nearly five per cent over the last fortnight and the S&P500 fell approximately three per cent over the last week and a bit. The market is expecting a potential five to ten per cent sell off as a knee jerk reaction, but with a Brexit style recovery afterwards. Remember, your wealth manager is your best port-of-call regarding your investment strategy and the impact of such events, so give them a call. My apologises for the absence with our regular Newsletters recently as I have been distracted looking at ways we can improve The FIRM's service for the future. As many of you are aware we are constantly improving our standards of service to incorporate innovative opportunities. One of these opportunities that has been considered is Real Estate CROWD FUNDING. 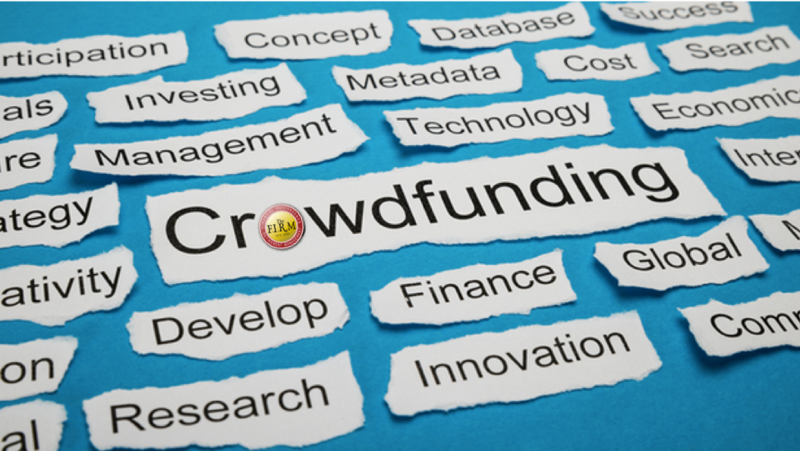 Although crowdfunding has been around for a while, raising funds via online platforms is a relatively new concept, particularly when it comes to property. However, despite its infancy, real estate crowdfunding is taking the property world by storm around $2.5 billion was crowdfunded globally in 2015 and conservative estimates point to $3.5 billion this year. Real estate crowdfunding opens up a world of opportunities to the small investor/member by offering investments that have traditionally been the exclusive reserve of high-net-worth individuals and institutional funds. Small investments open door to big returns "The biggest advantage of real estate crowdfunding is that it opens the door to potentially high returns from a small investment," explains a Director I met recently who has a community of private equity investors based overseas. He explained "For example, an individual investment of $25,000 can yield between 12 and 15% per annum over a typical investment period of three years," he continues. "These are the sort of returns large-scale investors are used to and real estate crowdfunding brings them within the reach of small investors for the first time." "Double-digit yields on this scale are almost impossible to find in other asset classes yet via real estate crowdfunding they're accessible and feasible," he says. "This is possible because the community of investors pools equity for a large-scale project and then shares the returns once the project is complete." Each investor owns a share in the project He also emphasises that real estate crowdfunding, unlike real estate investment trusts (REITs) and similar funds, gives the investor a share in the property. "When you put money into a crowdfunded residential project you own a part of it," he explains. In the case of residential projects offered onThe FIRM platform, investors typically receive a share of the company that owns the land. Trust and confidence Opportunities offered on real estate crowdfunding platforms require careful vetting to ensure they meet essential investment criteria and have the ability to fulfil the potential for returns. The FIRM puts all its energy into achieving funding for a single project at a time, making 100% funding that much more likely." Personalised service Another aspect that sets The FIRM apart from other real estate crowdfunding platforms is its personal touch. "This might be an internet platform, but we mustn't forget that our members are people who have been with us for the past 25 years. So, members shouldn't expect impersonal logins and cold interaction online from The FIRM. Instead, members can look forward to a designated Investment Relations Manager on hand (and in person) for all enquiries. And all communication including regular progress reports on projects under development comes directly via personal email. The future for real estate crowdfunding I have just one word for the future of real estate crowdfunding huge. "Just as Airbnb took the holiday lettings world by storm and Uber is making big waves in the cab industry, real estate crowdfunding is set to do the same for property, "The FIRM, we fully expect crowdfunding to become the standard for property investment over the next decade." "Crowdfunding has brought accessibility and convenience to property investment, and at The FIRM, our aim is to guide it along a path of continued expansion." The FIRM is an associated company, a full-service real estate company specialising in the National and International investment property arena sector. The FIRM's new company will be created from the demand for custom-sourced private equity opportunities via a secure platform and modus operandi. Minimum investment participation in The FIRM funding starts at $25,000, with targeted returns of 12% to 15% per annum over a maximum term of 36 months. Important: If you or your friends wish to know more about this unique opportunity register your interest to john@the-firm.com.au Enjoy the rest of the week! I have been overwhelmed from the supporting response of CYBER CRIME Newsletters that I published to warning members, friends and relatives of their unscrupulous practices over the internet. Thank you for your genuine support, as it has been very comforting! I can assure you that renewed efforts have been made from all Government Departments, Law firms, friends and family to looking at ways to eradicate these web-site publications from their damaging practices for the future. The Government's changes to the Age Pension could affect your ability to plan for a comfortable retirement. Recent reports from AMP suggest that more than 300,000 Age Pensioners will have at least part of their pension cut, with just under 100,000 of these people losing all Age Pension entitlements, taking effect from January 2017. The Age Pension provides income support and access to a range of concessions for eligible older Australians. Retirees who are currently aged 65 or over, and who satisfy income and assets tests and other requirements, can receive a full or part pension. Recently, the government introduced changes to the Age Pension's assets test thresholds which will take effect from 1 January 2017. The thresholds indicate the value of the assets you can own (excluding your home) before you lose your eligibility for the Age Pension. From 1 January 2017, some people will benefit and others will be worse off. Around 50,000 Aussies are expected to be better off under the government's changes and receive the full pension. Approximately 120,000 part-pensioners are likely to add around $30 per fortnight to their wallet. Full pension, home owners If you own a home, the new assets thresholds will allow you to hold assessable assets up to $250,000 (singles) and $375,000 (couples) without impacting your full-pension entitlements. Full pension, non-home owners The new assets thresholds for those who don't own a home will be $450,000 (singles) and $575,000 (couples). People who do lose their pensions in 2017 will automatically be entitled to receive a Commonwealth senior's health card or a low income health card. These cards will provide access to Medicare bulk billing and less expensive pharmaceuticals. If you're on a part pension what will happen? From 1 January 2017, around 91,000 part-pensioners will lose their Age Pension and about 235,000 part-pensioners' payments will be reduced. Part pension, home owners Couples who are homeowners will not receive the pension when their assets reach $823,000 in value. Single homeowners will stop receiving the pension when they have more than $547,000 in assets. Part pension, non-home owners Singles who don't own a home won't qualify for the pension if assets total $747,000. And couples will lose pension entitlements after they've accumulated more than $1 million in assets. How you can prepare for the changes? Depending on how these changes will impact you, there could be a number of things for you to consider, including: If your entitlements are reduced, how will you replace lost income? Do your assets need trimming down? 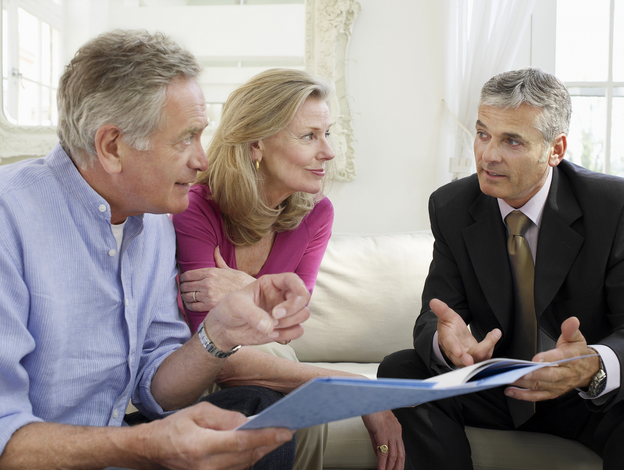 A financial adviser can help you with asset reducing strategies. Do you have any large planned expenses, such as a holiday or home repairs for example, that might reduce your assets before the changes come in. Generally, it's a good prompt to review your finances. Experts say single people need an annual amount of $42,569and couples $58,444for a comfortable retirement . Stay tuned for further updates closer to when these changes are due to come in. 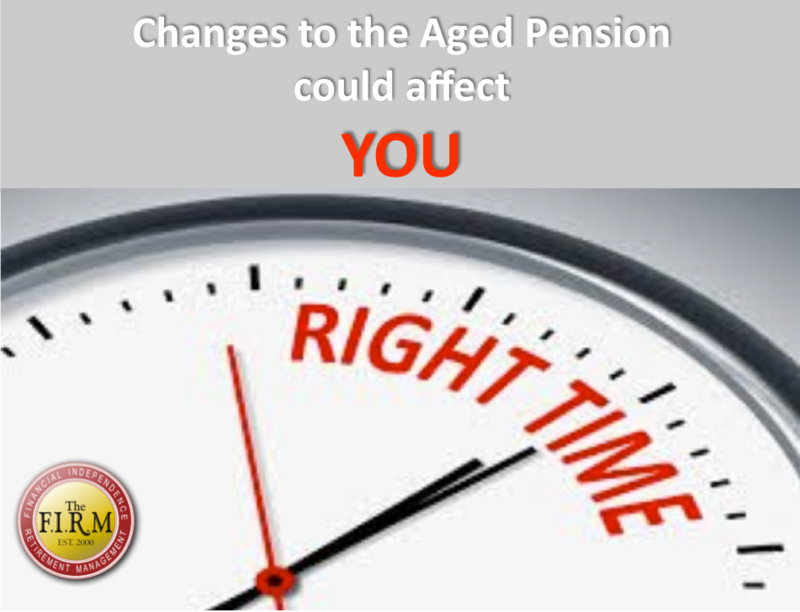 If you would like more information now, contact Centrelink to find out how your Age Pension will be affected. If you'd like financial advice, please contact your adviser in your local area. 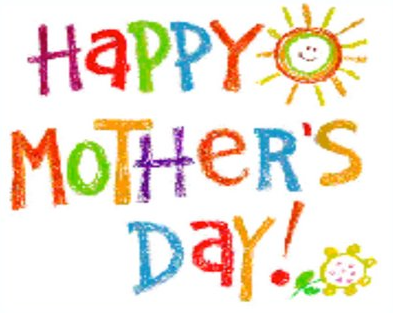 In the meantime stay SAFE, HEALTHY, WEALTHY & WISE!!! "Where is the next wave of growth going to come from now the collapse of the mining boom." This is the main question that is raised when talking to anyone in business recently. A few will talk about the rise of health or education or professional services, others will talk about stronger rise of knowledge for workers. 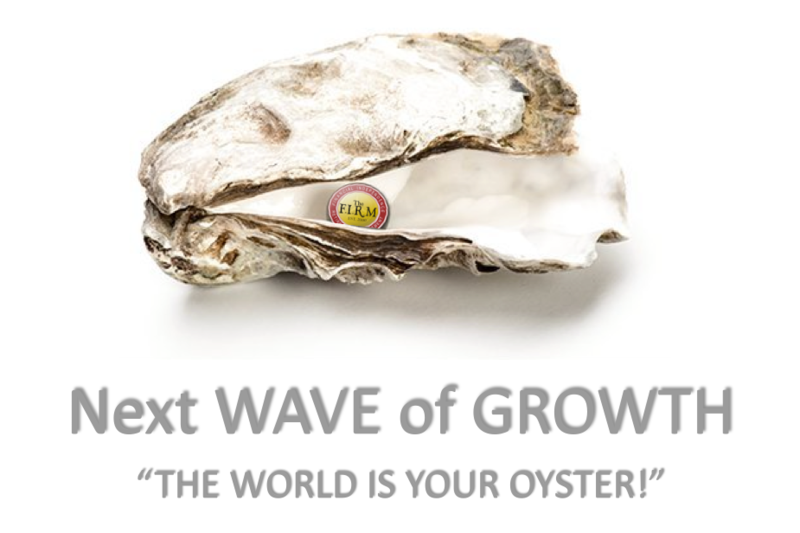 The next wave for business, the new way of life I have an answer to this question - and it isn't knowledge workers or health or education of professional service workers. In fact it's not an industry at all, it's more of a way of life. The next wave of business activity driving Australian prosperity will be not be tied to an industry, it will be tied to a type of business; it is in fact small and medium businesses, or SMBs to, be precise. I won't get into the nitty gritty of the numbers just yet; I'd rather spell out my logic. Remember: numbers follow logic. The Australian economy, and to be fair other economies too, are shaped by a demographic lumpiness caused by a baby boom after WWII. 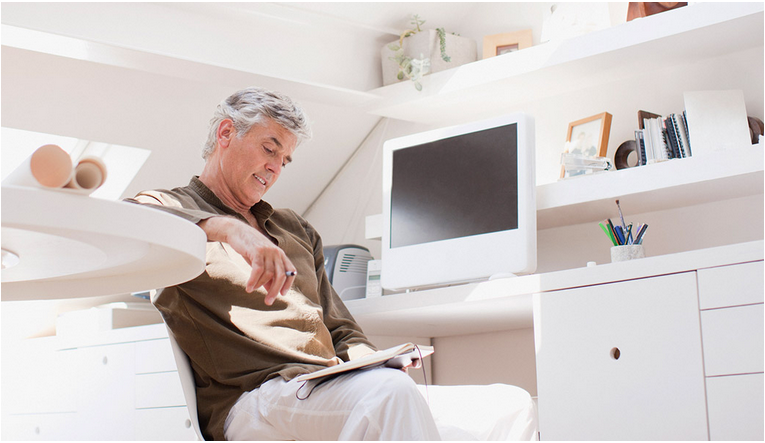 There are five million baby boomers now aged 52-70 straddling the Australian workforce. Some have retired, some are still working, some are scaling down. Boom(er) time for businesses Baby boomers are different to preceding generations for two reasons. They are bigger: five million boomers follow-on from 2.6 million pre-boomers, meaning there's a lot of them. And secondly the boomers as a life force are better educated than any preceding generation. So it may be concluded that a large clump of educated, ageing baby boomers is fast approaching retirement. Do you think this lot will want to retire, or do you think this lot will want to remain in the workforce in a reduced capacity? The fact is that many will likely indeed scale back and keep working; many will take a package and retire; some will retire and start their own businesses; some will resign and come back as a consultant or a contractor. And that is precisely what is happening. We are a nation of independently-minded people, and none more so than the self-confident baby-boomer generation looking to explore new lifestyles and new ways of earning a living. The number of sole-trader businesses (say a one-man band consultant) in Australia increased by 2,900 per year over the six years to June 2015. The number of small businesses employing 1-4 workers jumped by an average of 14,800 per year over this period. On the other hand businesses employing 5-19 workers, 20-199 workers, and more than 200 workers all contracted over this period. The only business growth by number since the GFC has been in the sole proprietor and in the micro business category. Over this period the nature of work changed. Fewer fulltime workers and more part time workers emerged. The workforce is casualising. Business wants workers that are fluid and agile and that can respond to changes in market demand. Part time work fits this business model but so too do sole-proprietor and micro businesses. And the kinds of businesses that are being developed also fit the bigger picture narrative that I sketched earlier with growth in the health, professional services and construction sectors. This means that there has been in the immediate past, and there is expected to be in the short term future, small business growth in medical and aligned activities, e.g. yoga and Pilates and wellness instructors, in professional services like accountants, solicitors, architects, engineers, town planners and in construction services like builders, plumbers, electricians, carpenters and plasterers. The bottom line is this: if Australia, and probably other select nations as well, are all moving in the direction of a nimbler workforce, and if baby boomers are indeed contemplating their future work stream en masse, then how does that play out? I say that it plays out in the greatest surge in growth in the number of businesses that this nation has seen as boomers and others pursue their deeply-held Australian instincts of setting-up shop and operating on their own account. And why not? Their kids have left home. They have some super as security. And they have always wanted to be their own boss. Why work in a big corporation when smaller, nimbler operating models are all the go? There you have it, something to consider! Have a great weekend and week ahead. In the meantime stay HEALTHY, WEALTHY & WISE! Bucket List YES or NO! My feet have not touched the ground since my return back from Dallas, Texas. So many things happening in my world that it will make your head spin, some very exciting news that I will be announcing very soon, mixed with some serious immediate challenges for the future, however more about this later. If you remember, going back a couple years ago we conducted a survey on what you would like to do when you were retired. 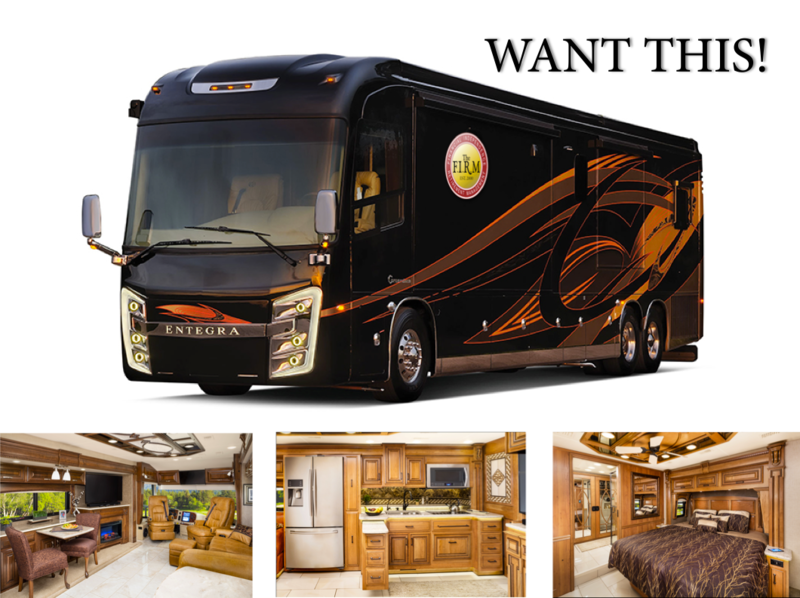 One of the questions in the survey was a Motor Home which had a huge positive response. Further investigations proved that this was not possible due to the cost of a new Motor Home being anything from $650K to $1ml depending on size, so the concept was shelved. Whilst in Texas, (just happens to be the largest manufacturer of Motor Homes for the USA) I was amazed at the prices, designs and the quality compared to Australia. "A Home away from Home"
So, this had me thinking that we should revisit this opportunity to see if you are still contemplating a Motor Home for your "Bucket List" Since my return I have spoken to a few Australian manufacturers and they can not compete in price due to many factors, in-fact double the price. I will explain this detail later! If you have any interest in adding a Motor Home to tour Australia on your "Bucket List" then please respond so I can gauge the volume to see if it is viable and economical to place volume orders. On another note in a recent meeting with Byron Hamilton, AWMA Director, Charis Bible College Australia opened the meeting with a scripture from the Bible John 7:37, 38 which resonated with me, which I would like to share with you. 37. On the last day, the great day of the feast, Jesus stood and cried out, saying, "If anyone thirsts, let him come to Me and drink. 38. "He who believes in Me, as the Scripture has said, out of his heart will flow rivers of living water"
I want to thank everyone for their kind words expressing their concerns to see if I was okay due to the fact I haven't kept everyone up to date with the latest News and Reviews during the month of June. 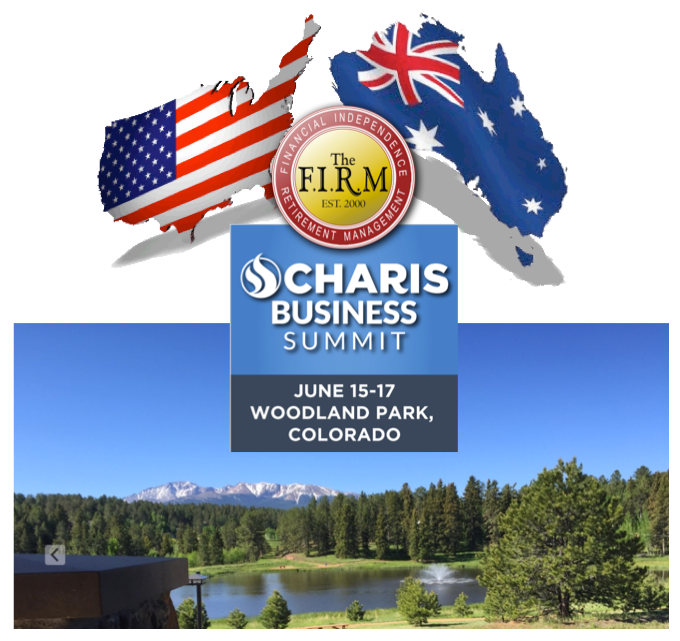 I was honoured to be invited to attend the CHARIS Business Summit in Colorado Springs where like minded influential International business leaders built and developed business relationships taking our organisations to the next level, learning practical business skills, identifying and capitalising investment opportunities at this exclusive conference. 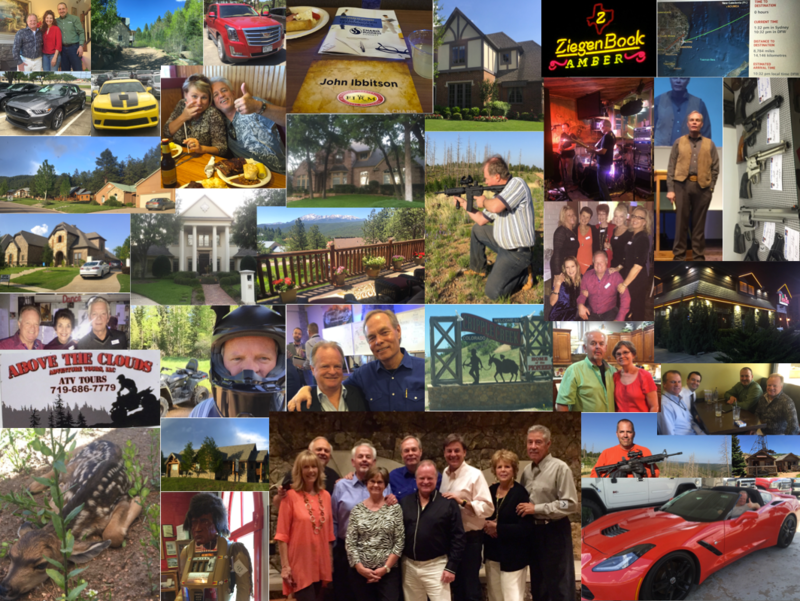 Attending the World Class Venue, Charis Business Summit in beautiful Woodland Park, Colorado were some very influential guest speakers including Andrew Wommack, Paul Milligan, Dr. Dean Radtke, Billy Epperhart and Dr. Lance Wallnau sprinkled their magic. A Powerhouse of incredible individuals packed the Summit from around the Globe, which I was honoured to experience a life changing direction for the future with an almost supernatural connection... I have been blessed!!! The Texan hospitality continued at the 10,000 feet altitude in the Rockies where the incredible wild life was plentiful. In fact a new fawn was born on the front lawn of Paul & Patsy's home were I was staying. Todd, the son of our guest speaker Dr. Dean Radtke invited me out to explore the Rockies, his company "Above the Clouds Adventure Tours" was an awesome experience driving very powerful quads along the logging trails. This would be something that you have to put on your BUCKET LIST to do!!! I was amazed at the cost of living over there where dining out most nights was so affordable compared to Australia, however have to note that the average wages was $8.00 per hour yet the service was impeccable. Don't forget to tip! Housing was incredible with good quality, well located, well priced with higher than normal rental returns. The down side is no tax deductions for depreciation of the property. Fuel costs are .50 cents a litre so there is no wonder why they all drive the big cars, trucks and RV's. There are many other details I wish to share with you so stay tuned for another exciting episode as we consider the USA and the USA considers Australia for future investments. In the meantime stay HEALTHY, WEALTHY & WISE! 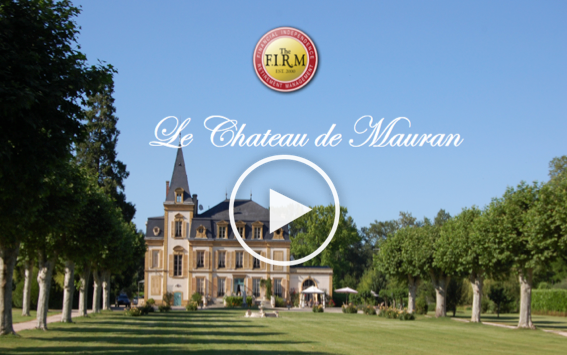 I am very excited to announce that Gai and Neil have just arrived at the Chateau de Mauran in France to prepare a television program on the Chateau in preparation for our announcement for our first community lifestyle investment. hey are two experienced media professionals and members of The FIRM for past 12 years. They hit the road with their cameras and lap tops. They are pet and housesitting, tasting the life from Village to Villa - living like the locals. They are producing a television series with a total of 13 episodes ready for television to be shot in 4 countries. 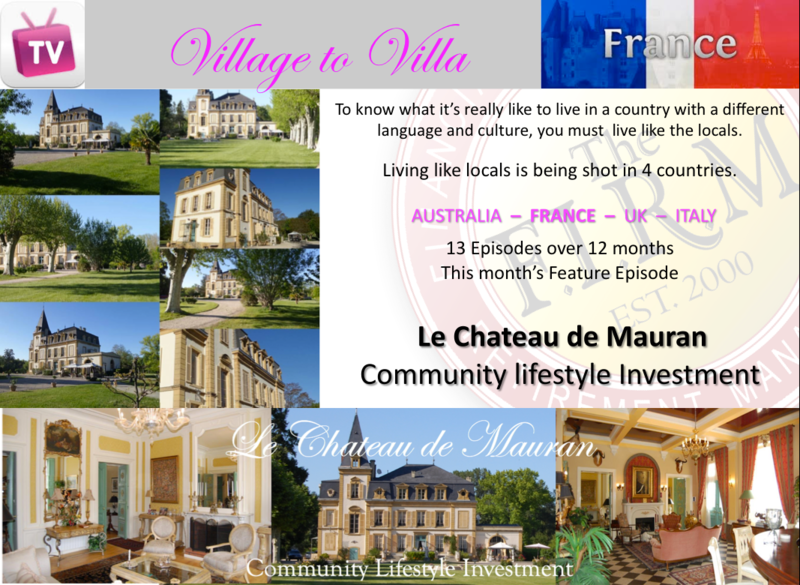 This month they have been given permission to televise the Chateau so The FIRM members can have a true in-site on how our community lifestyle investment will work for the future with exciting returns. It has been a extra special weekend for us as it's also Annette's birthday. See details below! THE Gold Coast is gearing up for its next phase of growth after re-elected Mayor Tom Tate declared a mandate to boost the city's infrastructure with a cruise ship terminal and an expanded light rail network, wrote Nic Nichols for Business News Australia. After meeting with council CEO Dale Dickson today to work through the draft city budget, Tate played down any hint of divisiveness by pledging to work with the new council, including six newcomers, to bring big projects for the Gold Coast to fruition. "It's our time to shine," Tate says. "We are at the tipping point and only as a team can we deliver the best outcome for our city. I don't think we should waste a minute ego pandering or in-fighting. "Everyone has to be on the journey together. It doesn't matter if you voted for me or not, I'll do what's best for the city that we all love. "I think it's a great mix of councillors coming through and we'll achieve great things for our city." Tate says he doesn't plan to play the mandate card too often when approaching federal and state funding for projects. He says the Gold Coast needs to establish strong economic and business case for each project. Among the top priorities is to pursue stage three of the Gold Coast light rail to link with Coolangatta Airport and a new city ferry service. Tate's proposal for an offshore cruise terminal is still on the agenda, although Tate is adamant that it has to pass a rigorous environmental assessment. "With the cruise ship terminal, the first issue is whether it's doable and that the environmental impact boxes are ticked. 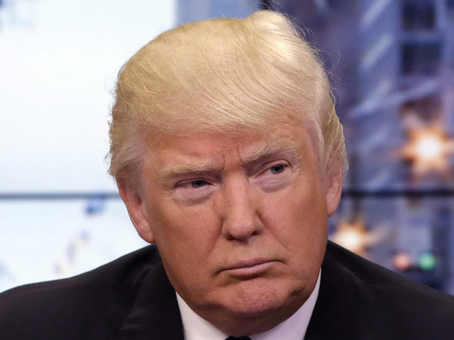 Until that's done, it doesn't matter if you have a mandate, I will be the first one to vote it down." Meanwhile, Tate says a double-dissolution election should not affect potential federal funding for Gold Coast projects. "This is the biggest regional city in Australia and no matter what side of politics at the federal level, they recognise that," he says. Tate says a new commuter ferry service will be a relatively low-cost project that will deliver benefits in terms of easing traffic congestion during major events. "The (Gold Coast) Waterways Authority is on board and it will be wonderful to have a ferry service, particularly for an event city like the Gold Coast," he says. 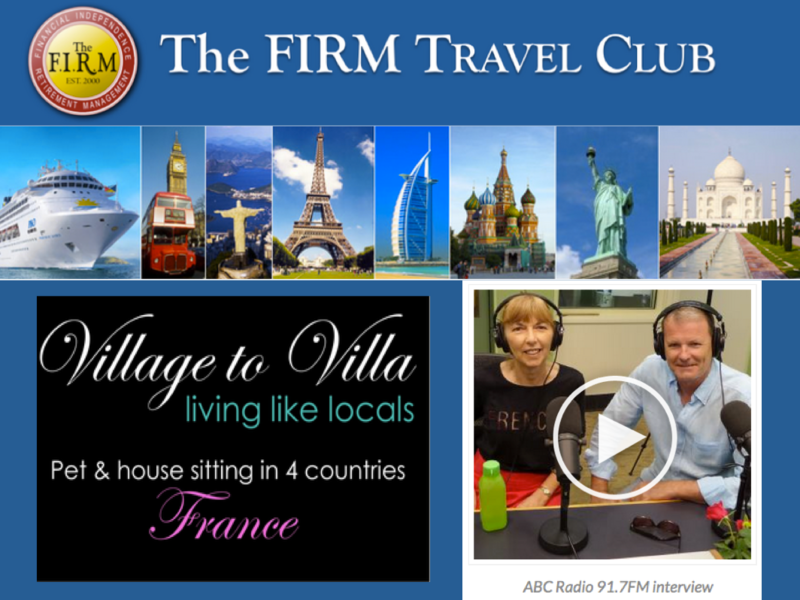 Something very exciting that I have to share with you if you are interested in TRAVEL. Long standing members Gai and Neil read our recent launch of The FIRM Travel Club so invited both Annette and I over to their place for cocktails last Friday night to celebrate their "Bon Voyage"
They are on an incredible journey through Europe on a classic adventure houses and pet sitting for a year in four countries. They are producing a 13 part television series naturally called Village to Villa. If you would like to follow their travels, just subscribe on their website. Neil and Gai send posts each week detailing where they are and what they have been doing. There will always be cute pictures and short (2-3 min) videos of their adventures. That's it. They are both in their late 50's, spent decades in the television industry and are free of commitments so decided to go travelling for a year....and make tv series along the way. We are currently organising both Gai & Neil to stay for 2 weeks at the Chateau de Mauran, to do a special TV series for us to report back on how the locals live in the area before we consider to invest in the Chateau! 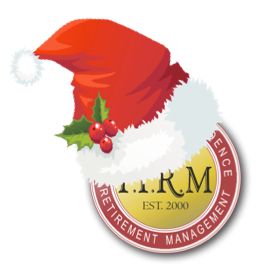 On behalf of all our dynamic team at The FIRM and my family we trust you had a wonderful holiday break. We all thank you for your ongoing support over the past 26 years and look forward to continue our strong relationship for the years ahead. Your comments, thoughts and contributions of constructive ideas throughout the year have been very important to us to constantly improve our standard of excellence, we are honoured that you are part of our ever growing team of over 10,000 members. Stay tuned on AQUA-CANNES, our exciting new 3 x 50 Level TOWER development that has the potential to construct 1,008 Waterfront Apartments on main river Surfers Paradise. The FIRM is seeking a joint venture partnership as an equity partner in return for strong returns. If you know of anyone who has an appetite to consider a Joint Venture please do not hesitate to contact me. 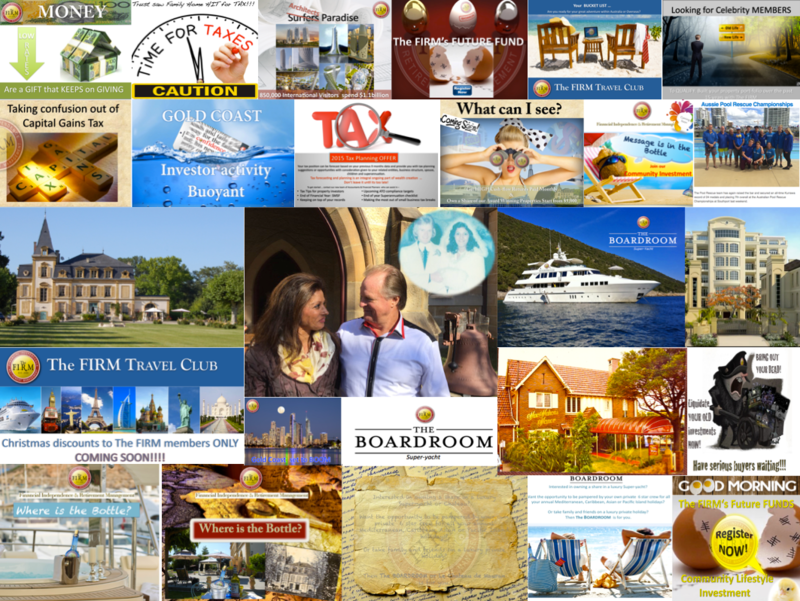 Now the silly season is over we are coming into an exciting opportunity for The FIRM Travel. Yes, I it has been coming for a while now, however I want to make sure that the opportunities that are on offer are going to benefit all the members. Nearly completed our DD and will announce our research findings very soon! Have an awesome year ahead and thank you for your on-going support!